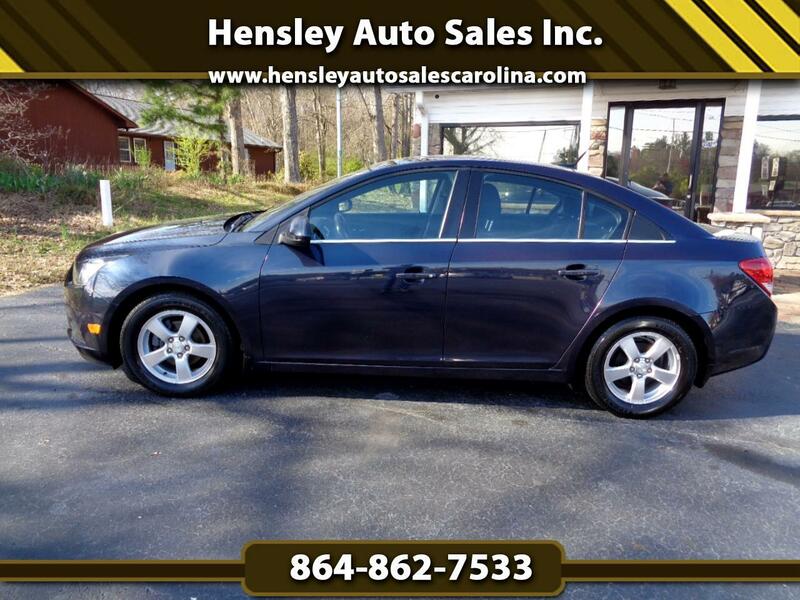 Used 2014 Chevrolet Cruze 1LT Auto for Sale in Greenville SC 29644 Hensley Auto Sales Inc. WOW!!! Check out the low miles on this great driving Cruze LT. Auto, ice cold a/c, alloy wheels and all power equipment. On lot financing available. Visit Hensley Auto Sales Inc. online at www.hensleyautosalescarolina.com to see more pictures of this vehicle or call us at 864-862-7533 today to schedule your test drive. All vehicles available for on lot financing. Prices are plus SC Infrastructure Maintenance fees, title, tag, registration and Doc fees.